"Captain your pirate ship to glory (or a watery grave)!" 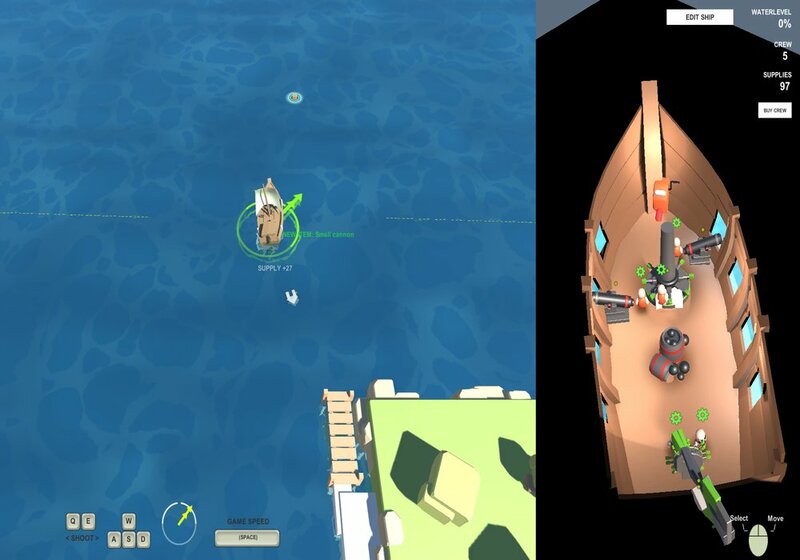 Pirate Mania is a swashbuckling adventure game where you play as a pirate captain and must make your way across the high seas looking for supplies, loot and adventure. It won't all be plain sailing though as you have to also control your not very useful crew, watch out from attacks from rival pirates and if you take any damage from those pirates then you must try to move your crew quickly to clog up any holes from the canon shots that may break through the hull of your vessel. 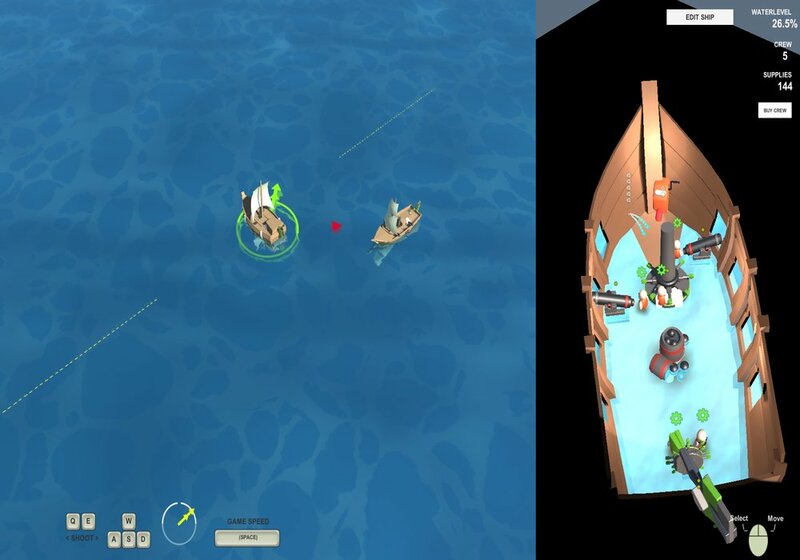 The game has a fun and simple cartoon style which makes it very inviting and entertaining to play and the further you venture out to sea the more rival pirates that you will find but will the rewards be worth the risk? Will you find the treasure troves that every pirate craves so much or just be left empty handed and perhaps with a wooden leg, an eye patch and hopefully a parrot! 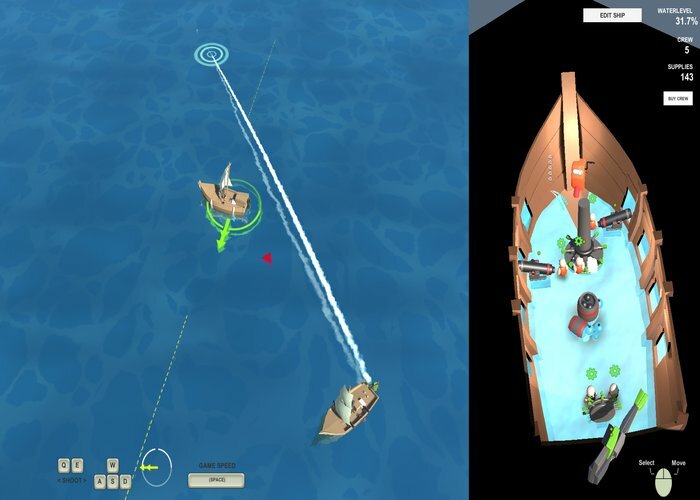 There isn't exactly a plethora of free pirate games out there and sometimes you just have to put your eye patch on and say "arrrr" so if you are in the mood to take to the seas for adventure then you can't go wrong with Pirate Mania. You can download Pirate Mania here for free.